Psyllium is a fibrous plant and each plant has lot of seeds which have a gel like coating. Psyllium husk is derived from outer covering of this seed. The husk of psyllium is laxative in nature and is popular for its health benefits. It is a soluble fiber which helps in regulating irritable bowel syndrome, blood sugar level and lowering cholesterol level. The consumption of psyllium husk has certain mild adverse effects too such as stomach pain, intestinal blockage, fever, nausea, etc. So it is always better to consult your doctor before taking psyllium husk. Pregnant women and children should avoid consumption of psyllium husk. Let us have a look at a few significant Psyllium husk side effects. Psyllium husk has a lot of health benefits, but in some cases, mild stomach irritation has been observed. Sometimes an increased intake of fiber present in psyllium may cause some stomach related side effects such as flatulence, nausea, gas, diarrhea which further leads to cramps in the stomach. There are bacteria present in our digestive tract which are responsible for digestion. The fibrous nature of husk can sometimes react negatively with these bacteria causing some irritation to the digestive tract. People with digestive disorder are advised to stay off this husk. It is also recommended to drink a lot of water with the intake of psyllium husk. Psyllium husk consists of soluble fiber. It has an expanding property which absorbs water present in the intestinal tract causing obstruction of esophagus or intestines. 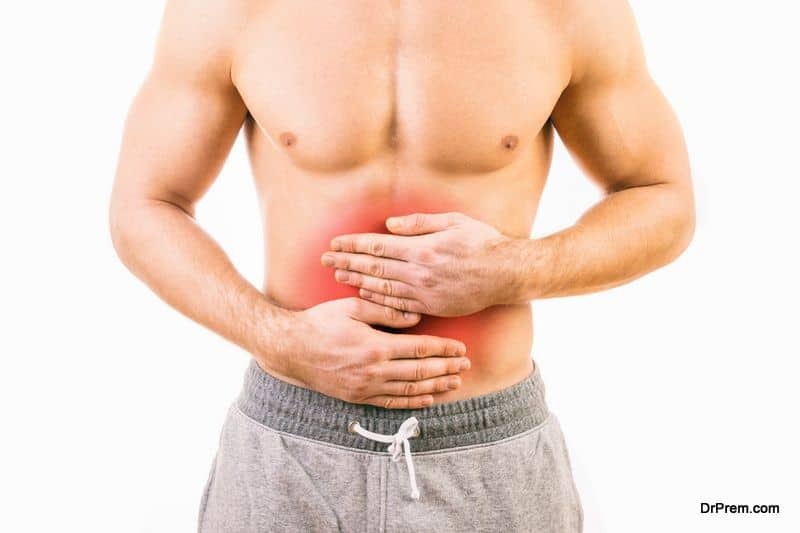 This situation can further cause choking or certain breathing difficulties and one may feel cramps in the stomach, vomiting sensation and difficulty in passing stool. Hence it is always recommended to consume a lot of fluids and water if you are taking psyllium husk in your daily regime. Though psyllium husk is used for treating inefficiency of bowel movement, but in this case, it would do more harm than good. See your doctor immediately if you develop any of these symptoms after consuming the husk. Despite the healing properties of psyllium husk, some people could develop fever like symptoms as a reaction to its consumption. The immune system of the body reacts to allergic substance and releases leukotrienes and histamine which can cause inflammation and other side effects like sneezing, running nose, body and head ache. Stop taking psyllium husk if you experience any of these symptoms. In case these side effects still do not subside, then see your doctor immediately. Allergies may not be counted as one of the prominent psyllium husk side effects. But some people could be hypersensitive to this herbal seed husk. 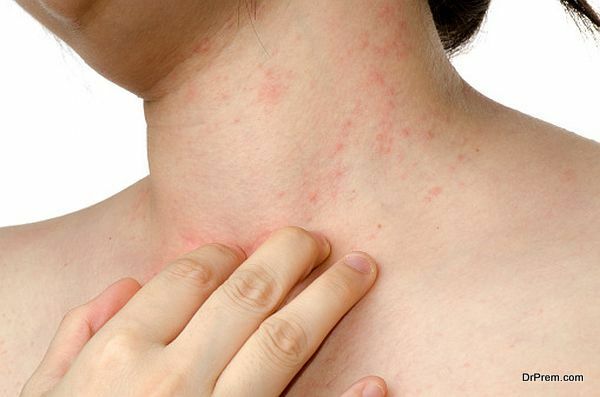 This allergy is evident within a few minutes of consuming psyllium husk. Sometimes our body fails to recognize certain substances which cause anaphylactic shock or severe allergy conditions like chest tightness or choking, breathing difficulties, congestion of nose or running nose, hives, chills, skin rash, itching etc. 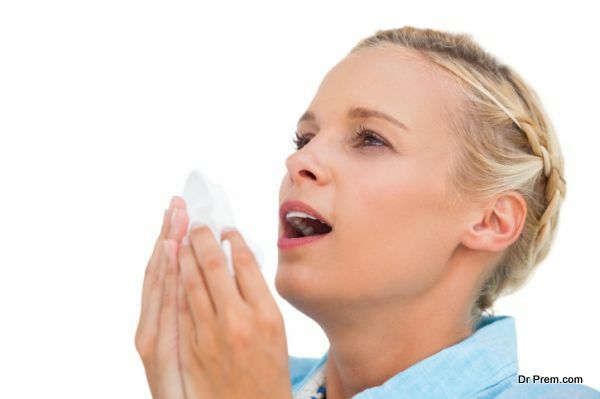 These allergies could be mild or severe as the immune system over reacts to the protein present in medicinal husk releasing high levels of histamines. If you experience a situation like this, then stop the usage of psyllium husk and seek medical help. Psyllium husk has very low risk factors but still, its adverse effects cannot be ignored. In certain cases, its interference with few medical drugs is visible. 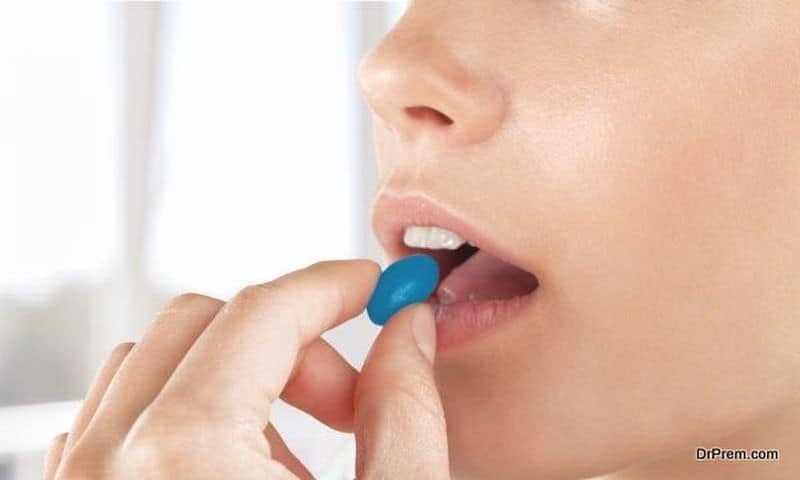 It interferes with the ability of body to absorb salts of certain drugs which one may be taking due to certain medical condition. If you are prescribed for certain medication then it is better to keep a gap of 2 to4 hours before or after taking psyllium husk. Some of the medicines which have a history of getting affected by psyllium husk are diabetic medication, antidepressants, heart medicines, blood thinning compounds, anti-seizure drugs, cholesterol lowering drugs etc. Take your doctor’s advice if you are on any of these medications. Psyllium husk is a soluble fiber which helps to regulate blood sugar levels. The soluble substance in psyllium husk powder expands when it comes in contact with water and forms a gel like substance. This gel slows down the body’s capability of breaking down and absorption of sugar and carbohydrate in the body. 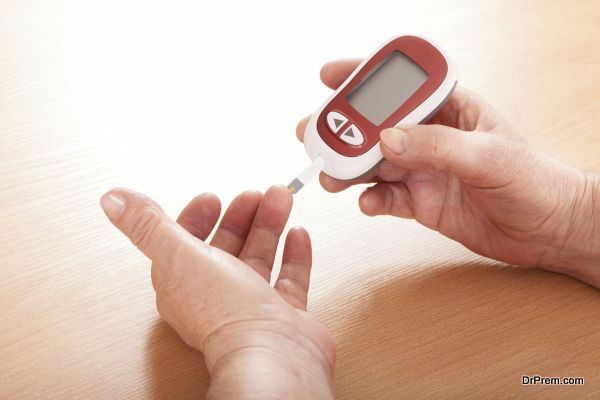 This results in lowering high blood sugar level. 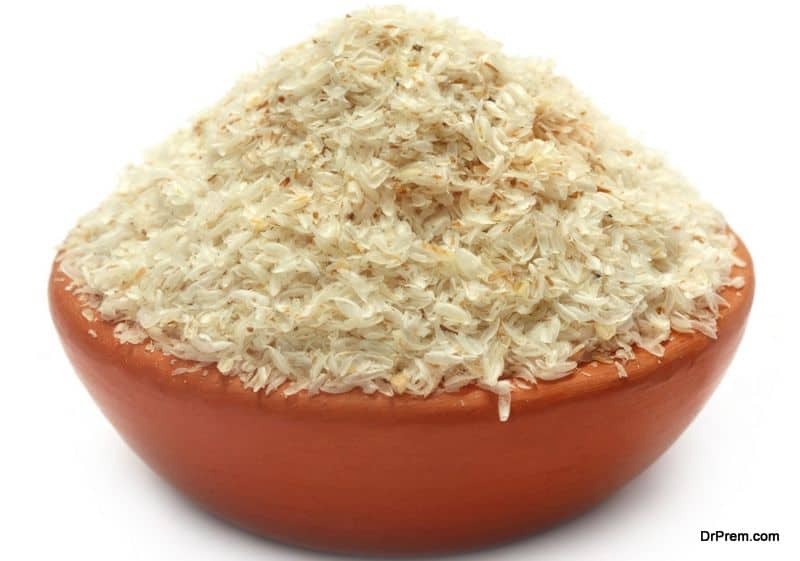 But psyllium husk intake can adversely affect people with low blood sugar, as it can bring down the blood sugar level further, which may cause a health concern. Psyllium husk has a high content of fiber which expands easily in the stomach thus causing a feeling of immediate fullness. This fullness can cause bloating or flatulence in the abdomen. 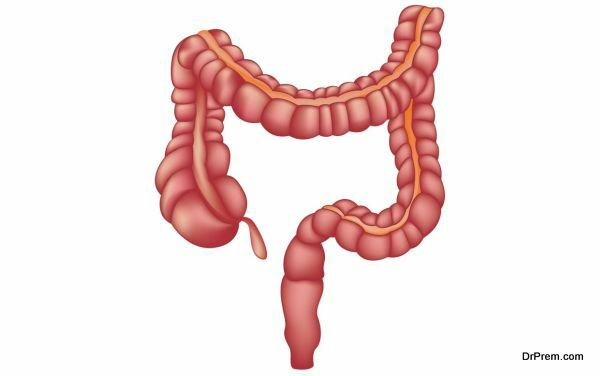 When this soluble fiber hits your digestive tract, it may give rise to gastric disorder. If this gastric disorder persists and lasts for a long period, then reduce its consumption and consider consulting a doctor. It is also important to drink a lot of water and fluids with psyllium husk intake. You could also start on a low dose of psyllium husk and monitor its familiarity with the intestinal bacteria and gradually increase its consumption. Psyllium husk in certain cases can react with your immune system and cause dry patches and rashes on the skin. 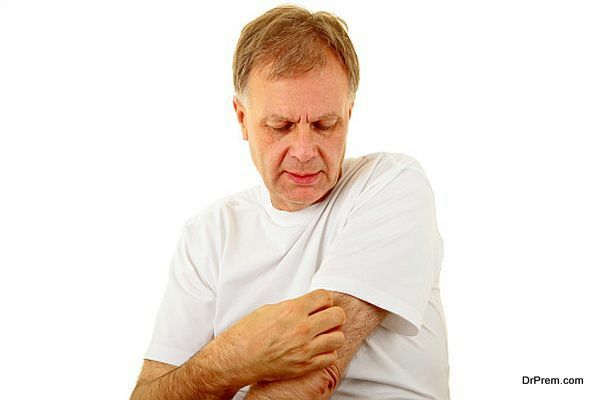 The histamine release in the soft tissue of the body causes these dry patches, hives and skin rashes, which leads to inflammation and itchy skin. These patches have a tendency to disappear and then re-appear. Finally, if it becomes more severe, then it may turn into eczema. You need to see a doctor if the problem aggravates. Heart palpitation or anaphylaxis is a condition caused by psyllium husk, sometimes as an allergic reaction. If not treated on time this condition can lead to dizziness and if the severity increases it may also lead to fainting. These palpitations are caused by a chemical reaction triggered by improper function of the immune system of the body. 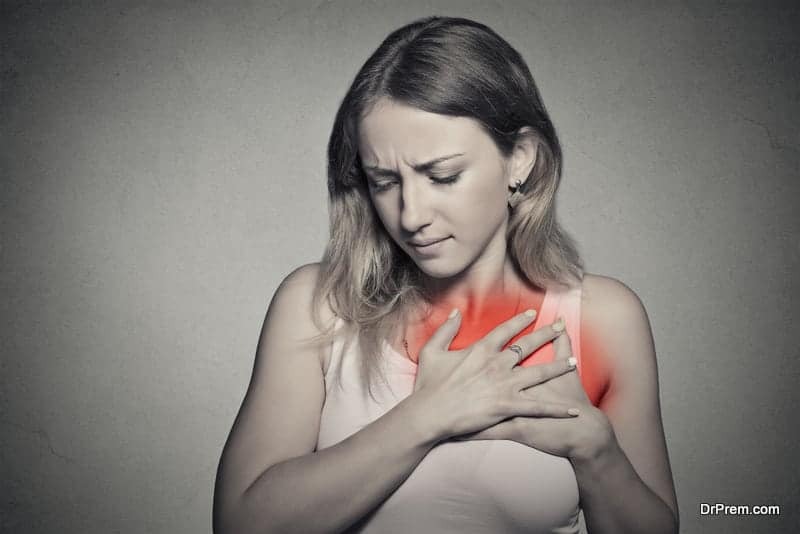 When the body is unable to associate with the proteins present in the husk, this situation gives rise to low blood pressure and increased heart rate. If you observe any of these symptoms, then remember its time you take your doctor’s advice. Another notable psyllium husk side effect is observed in people becoming too much dependent on it for regular bowel movement. This is not a healthy sign. One should take Psyllium husk for a brief period to relieve constipation. Prolonged usage means you are preventing the normal functioning of your gastrointestinal tract.